If you’re searching for a new home, there are a number of major sites available that can provide information that may assist you. One of the problems with this is: you do not receive personalized service, which widens your search and leaves you wasting valuable time, utterly frustrated and overwhelmed with mostly useless results. There a few differences between major real estate sites and the advantage of using a local broker. You may find property listings that are outdated or inaccurate which have been sold, are already pending or expired. Multiple sites have different contact information for a number of real estate agents, some of whom might be from out of area. Additionally, when registering on major sites, the prospective buyer is bombarded with multiple calls or emails from a number of agents about properties they have viewed. Major sites filter listings with basic home features only. There is no room to customize the search to find the type of home the buyer may be looking for. In most cases your contact information is shared/sold for a profit to multiple agents, without your knowledge. Registered sellers on the site also receive a weekly or monthly CMA (comparative market analysis) for their neighborhood. They can also sign up for daily email updates of homes that were just sold, or any new listings in their neighborhood. Registered buyers will automatically receive daily email updates of new listings that match their specific search criteria. With eHomeSurf, there is one realtor to provide a comprehensive personalized experience. Buyer information is never sold or shared with third parties. Home buyers and home sellers can expect a prompt response once they initiate contact. All property listings on the site are accurate based on the Multiple Listings Service (MLS), which requires all realtors to update listings on a continuous basis. There is something to be said about a seller who gets advice and guidance from a professional who is an experienced listing broker. This helps with staging and making necessary repairs if needed to open the buyer’s market to a wider audience. For a buyer, being able to personalize their searches for features that matter is a big plus. The site allows prospective buyers to find homes that meet their individual needs without having to go through a number of homes that they will not be interested in. 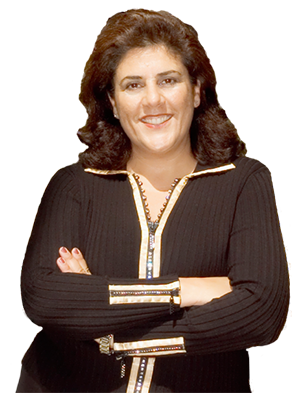 eHomeSurf is the brainchild of Mona Koussa, a seasoned real estate broker specializing in San Ramon Tri-valley real estate. She has successfully closed over $300 million in sales. With over 17 years proven experience and 35 years of knowledge and interaction in East Bay, she understands both the buyer and seller mindset. The site is a powerful tool that infuses technology and personalization to cater to diverse buyers and sellers that makes it convenient and easy to attract those customers who don’t have the time to go through properties that will not meet their needs. For more information on how using a local broker with eHomeSurf can assist in your home search or sale, contact Mona Koussa today!